This is the SAMPLE quilt. 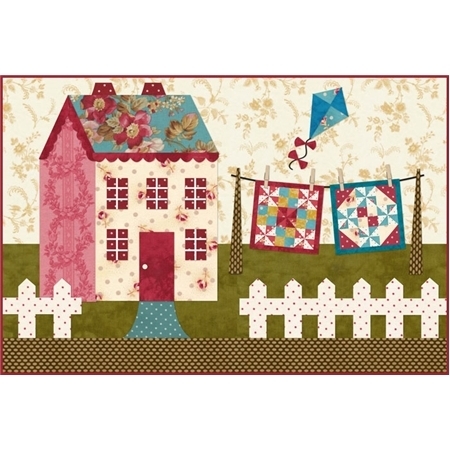 This great quilt was such a hit the first time, we offered it again in all new fabrics. 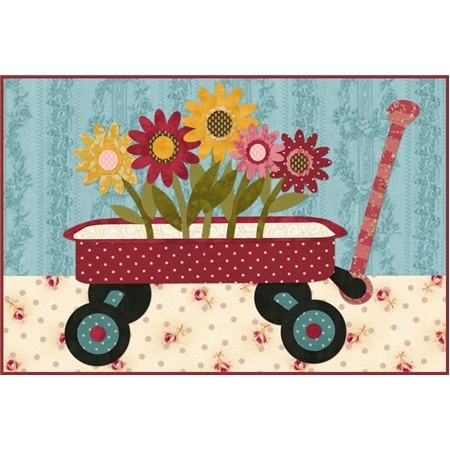 This exclusive design was created by Jennifer Bosworth . 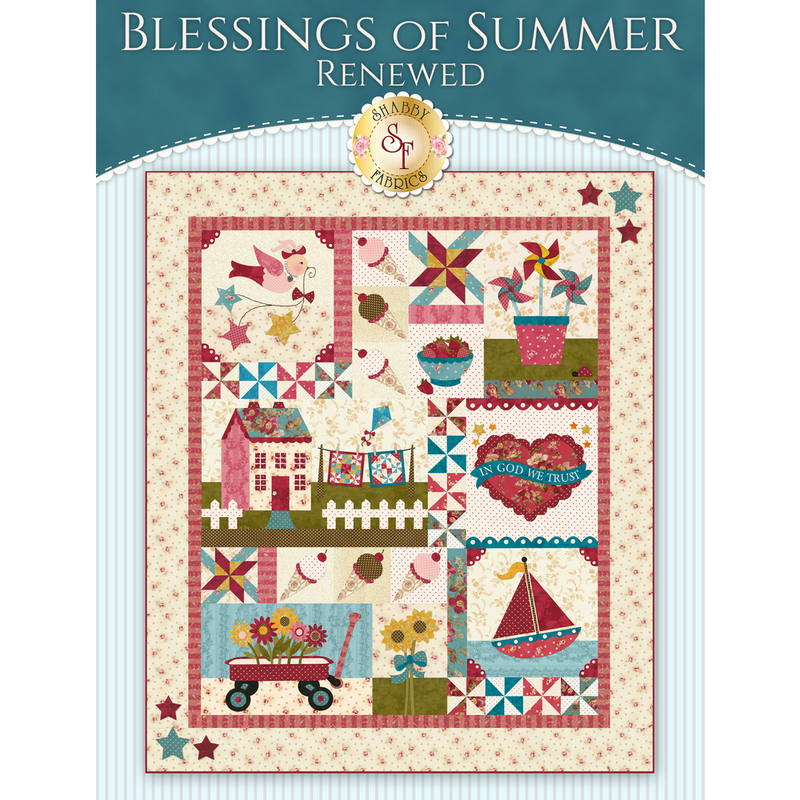 Finishing to 55" x 65", this quilt celebrates all the joys of warm summer days with twirling pinwheels, a wagon full of daisies, yummy ice cream cones and so much more. Tiny wooden clothes pins secure miniature quilts to the clothesline for added fun! Traditional applique, hand-stitched with silk thread and hand embroidery! Discounts and Coupons cannot be used on Sample Quilts. Loyalty Points are gladly accepted!